Hello there. This week I have a cheeky pair of boots to give away so have a read. Firstly on the back of a pretty disappointing week in terms of NPL results, Monday came and provided some positivity. After a little trip to the FFV for the FFA Cup draw we got the Home tie we all had our fingers crossed for, leaving us 1 win away from a return to the national stage. We look forward to a tough match and hope that you will all of course come and support us, think its looking like a June 15th fixture!! Monday also brought the opening of the transfer window giving the squad an extra buzz on Monday evenings training session. So on behalf of all the players, coaching staff, members and juniors i would like to welcome Danny Dixon, Declan Hargreaves and Craig Carley to ABD Stadium. The weekend also saw a fantastic set of results and performances from our junior NPL teams. These made all the more pleasing in the fact that each age group included members of the team younger than them. It was great to see all the players step up and test themselves at the next level. I’m loving the work of our NPL coaches and Technical director! After my long affiliation with Adidas, i chose to try something new… and purchased a pair of New Balance boots. After maybe 2 training sessions my conscience got the better of me and i put my tail between my legs and ran back to my Adidas X’s and apologised. This leaves me with a pair of hardly worn boots. So… I am going to give them away to one of the Juniors at Hume City FC. Unfortunately you must be my size to give yourself a chance to win, and that is U.S. Size 9. 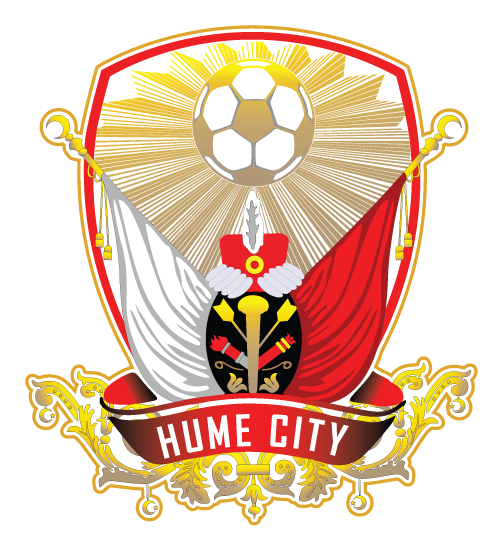 To enter please comment underneath the post when it is shared on the Hume City FC Facebook page, please comment the words : ‘I’m Cinderella’ and you will be contacted by me with instructions. Everyone who enters will be requested to join a little competition before a junior training session one night with the triumphant winner being given the New Balance Visaro’s. Soooo, now we will find out who reads the posts, you have until Tuesday 7th June 6.39pm to enter! !